Advance Packaging & Adhesives LLC is best manufacturer and supplier of Polyester & Metalized Polyester Tape all over UAE including Abu Dhabi–AUH, Ajman – AJM, Sharjah – SHJ, Dubai – DXB, Fujairah – FUJ, Ras Al Khaimah – RAK, Umm Al Quwain – UAQ. 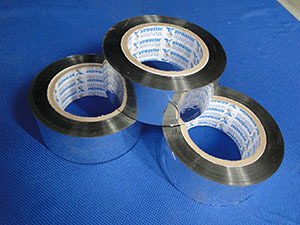 Polyester & Metalized Polyester Tape film coated with acrylic adhesive. This tape having excellent vapour barrier properties. Product is widely used in flexible duct,protection, splicing and turret punching application, Packing & labeling. The Product is useful for custom made carton sealing, bundling the product, core Interlayer insulation on HT coils of motors.